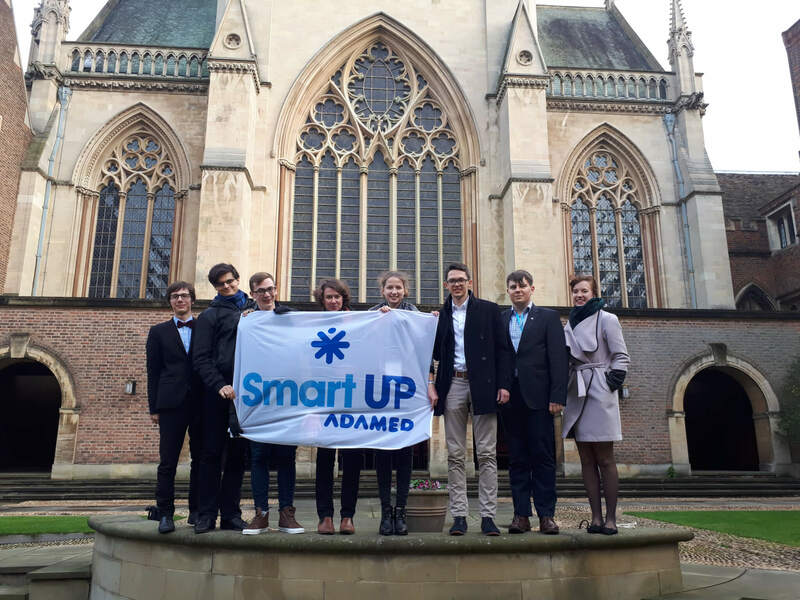 On 3–4 November, the University of Cambridge played host to the “Science: Polish Perspectives” conference, with the Adamed Group Foundation as its partner. The event was attended by young Polish scientists, representative of public administration and Polish scientific institutions. It also presented an opportunity for ADAMED SmartUP alumni to get together. The “Science: Polish Perspectives 2017 (SPP)” conference combined discussion panels and workshops. Attendants had an opportunity to develop their media communication skills with regards to science or to learn about the ideas of young Polish scientists and the challenges they are facing. The discussion panels provided an extensive overview of opinions on science, technology, innovative research as well as prospects for developing a scientific career in Poland and abroad. The atmosphere of the University of Cambridge was conducive to exchanging ideas and making new scientific acquaintances. The Adamed Group Foundation acted as a partner for this year’s conference in Cambridge. The event was attended by representatives of the Adamed Group Foundation, Martyna Strupczewska and Marta Tondera, as well as participants of the previous editions of the ADAMED SmartUP programme: scholarship holders Michał Bączyk and Aleksandra Janowska, main prizewinner Jakub Dranczewski, winners Paweł Piwek and Jędrzej Jaworski as well as the programme’s ambassador Jerzy Szuniewicz. “Science: Polish Perspectives” is a cycle of events held with a view to bringing together the Polish scientific diaspora by facilitating discussions with the academia, decision-makers and the world of business. All SPP events promote an interdisciplinary approach and encourage practices aimed at popularising knowledge. They are organised by the Polonium Foundation, established to disseminate the SPP mission.